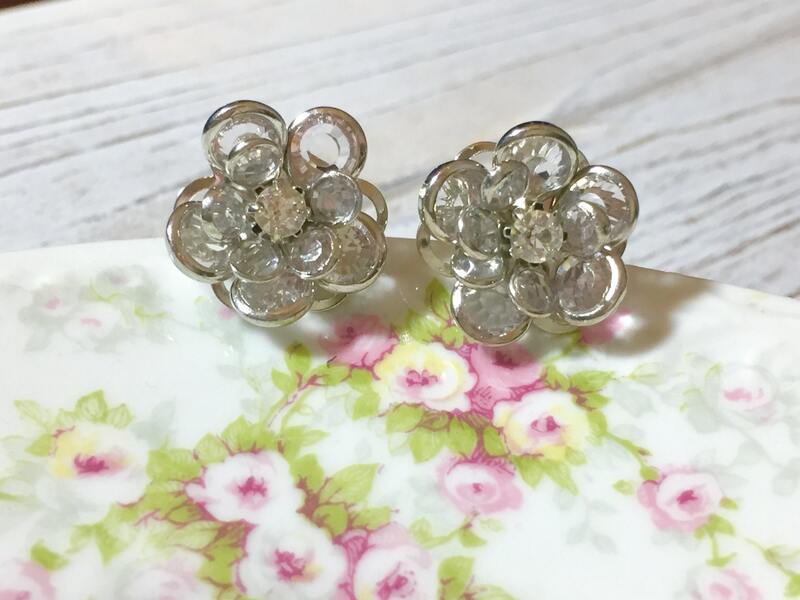 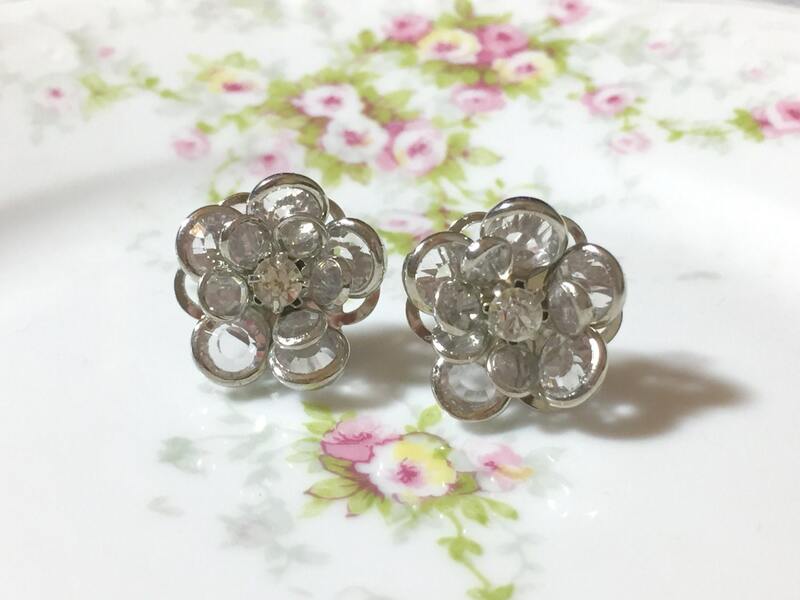 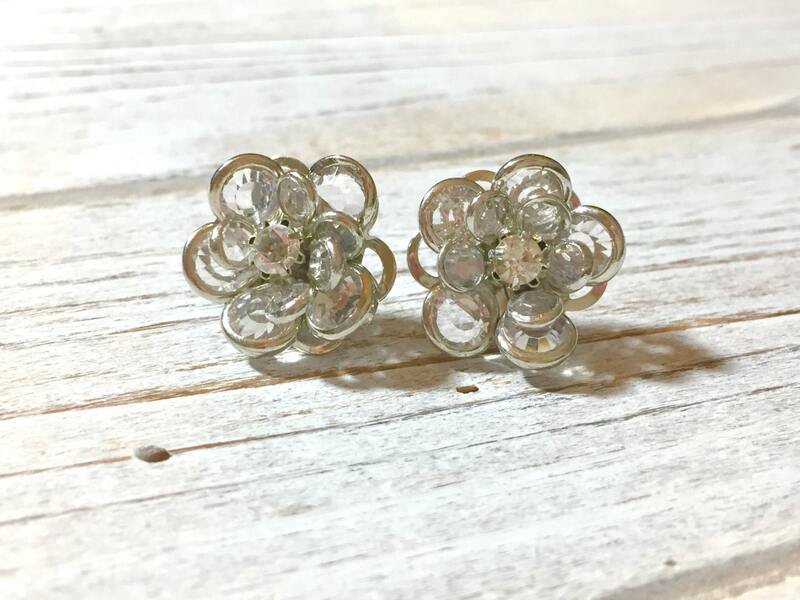 These vintage inspired rhinestone stud earrings are just perfect for adding a fashionable touch to your lobes in the unmistakable vintage retro old hollywood glamour style. 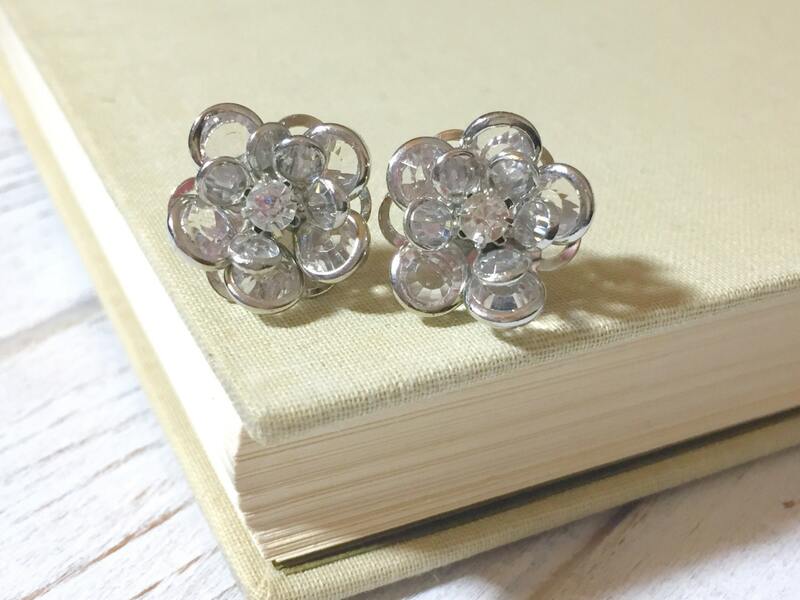 The petals are clear and trimmed in silver with a glittery glass rhinestone center - super pretty! 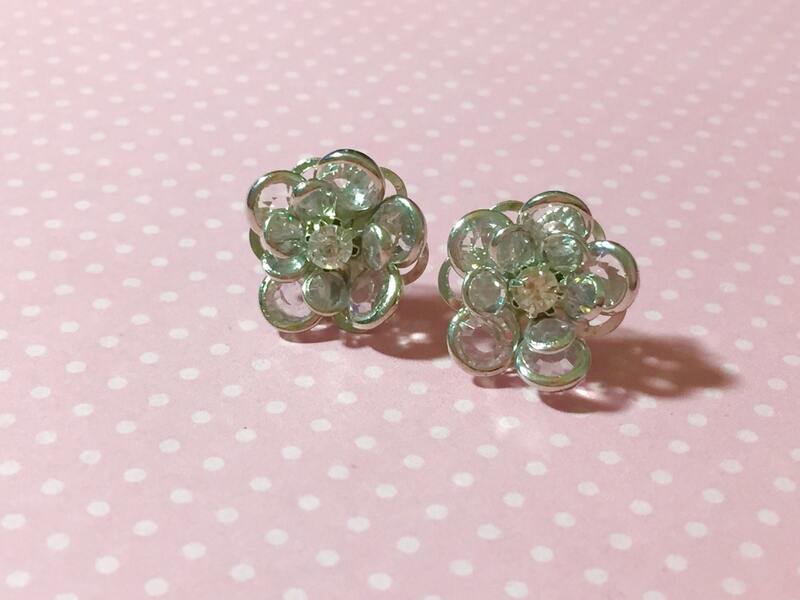 These lovelies measure about 5/8 inches (16mm) in diameter and have been securely affixed to surgical steel ear studs.